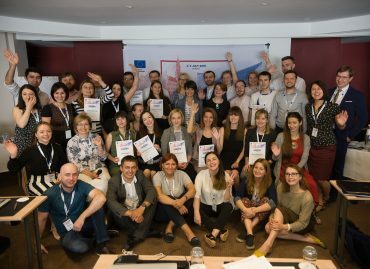 40 young civil society activists from Armenia, Azerbaijan, Belarus, Georgia, Moldova and Ukraine, selected for the EU-funded Eastern Partnership Civil Society Fellowship Initiative, met in Brussels on 2-3 July 2018 for the Relay Event to relay a symbolic torch of their experience to their peers, learn about new opportunities of better contributing to reforms in their countries, and raise awareness of local civic activism as a major vehicle of needed changes in the life of their communities. Fellows also had the opportunity to enter into dialogue with representatives of the European Commission. We have a unique format of cooperation created specifically for the Eastern Partnership region which is the Summit of the 28 EU leaders and the six Eastern Partnership leaders. The Western Balkans only recently have been given a similar opportunity. This constant political dialogue on a wide range of issues is valuable and its importance should not be underestimated. Looking at the latest European Council conclusions it is evident that there are many burning issues with which the EU has to deal: migration, Brexit, among many other important issues. But with all the challenges we have around the world, we still need to keep the whole Eastern Partnership region high on the political agenda of the European Union. And that’s already a challenge not to be underestimated. After two challenging Summits, the EU decided to come up with an agenda that would include clear deliverables that bring real changes to people across the Eastern Partnership in a way that could be measured. That’s why in December 2016 the European Commission proposed 20 deliverables aiming at delivering concrete results in four key priority areas: good governance; economic development; connectivity, including energy efficiency and environment; and people-to-people contacts. In 2017 these priority areas were once again reconfirmed. Governance is essential, and the essence of the governance agenda is what I call “the big three”. These are the EaP governance challenges we are particularly concerned about, which are: the state of judicial systems across the Eastern Partnership region, tackling corruption and public administration reform. On the economic development side, I think we all believe that jobs and opportunities are crucial. And here the Commission is tackling issues at several levels: there is a big focus on small and medium enterprises to get down to the small level of the individual companies often family-run. In the agriculture area, which is key across the region, we have put in place a development programme for agriculture and rural development, called ENPARD, which is reaching to the smallest places outside of capitals. Another important change is the identification and focus on pilot regions in all the countries, allowing for a better impact throughout the countries. We have now identified pilot regions in almost all of the countries. I visited Lankaran in Azerbaijan, Cahul in Moldova, Shirak in Armenia. We expect the Georgian government to confirm a pilot region in Georgia. Belarus has preliminary identified pilot regions in Brest and Grodno. 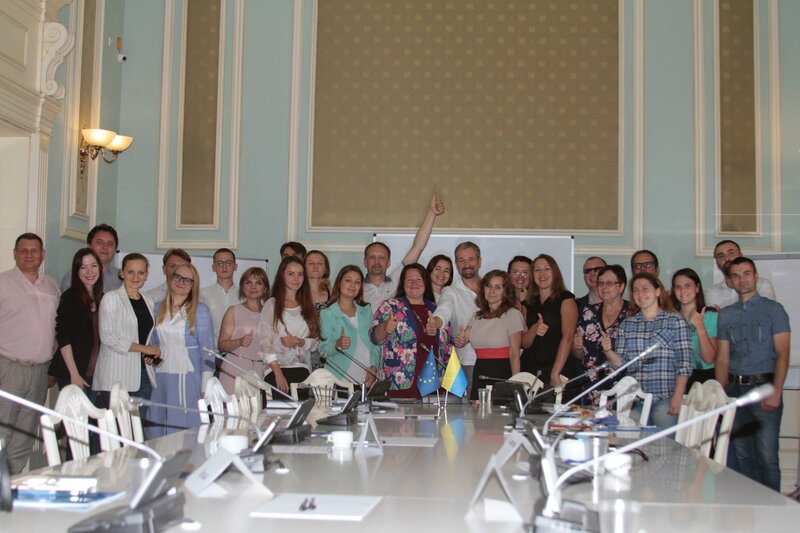 My colleagues are also working in Ukraine on a giant decentralisation programme. This reach beyond the capital is really important because the economic challenges are bigger there. Connectivity is at the heart of many issues including energy efficiency, transport, electronic links which we use even more these days. I was very excited with the digital agenda in Tallinn last October, I think there is so much potential across the Eastern Partnership, such talented human capital. And this brings me to people-to-people contacts, without which the first three areas wouldn’t work. The civil society fellowships play an important part here. Yes, it is a small number relative to the big challenges across the region, but I think you’ve got to start small and build bigger. 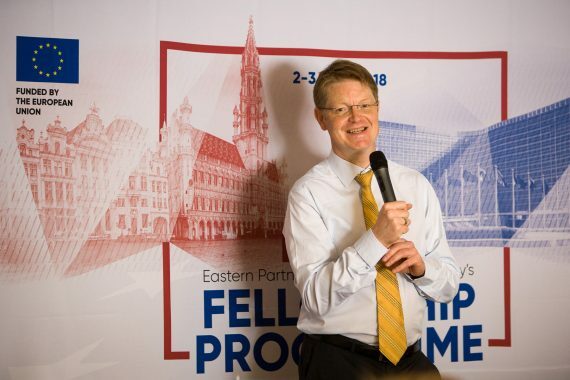 I have great confidence that fellows and other civil society activists we are supporting have great potential to build a true network of like-minded people and become the advocates of EU values and benefits. We should not underestimate how important it is to have a common vision and common agenda first of all. And the November summit which is the fruit of a year of consultations and discussions has given us a really clear agenda on these four big areas and the three cross-cutting themes, which are civil society, gender equality and strategic communications. We have also set out measurable targets and broken down our agenda into measurable chapters and I believe that’s the first important achievement. Secondly, people are at the heart of this agenda and I’m also especially pleased that there is a strong focus on education, research, innovation and young people because I really believe that the future of the Eastern Partnership is investing in human capital. There’s still a lot of work to be done and there are pockets of excellence in the region on which we can build. I visited quite a number of vocational schools and they are frighteningly under equipped. I think they are disconnected from the labour market and the needs of businesses. I think when we talk about education we’ve got to look at the bedrock of the job market. And I believe this is the issue on which civil society should be active. I would encourage civil society leaders to look at the agenda and work on their areas of expertise, making sure that they have that expertise at the national level. 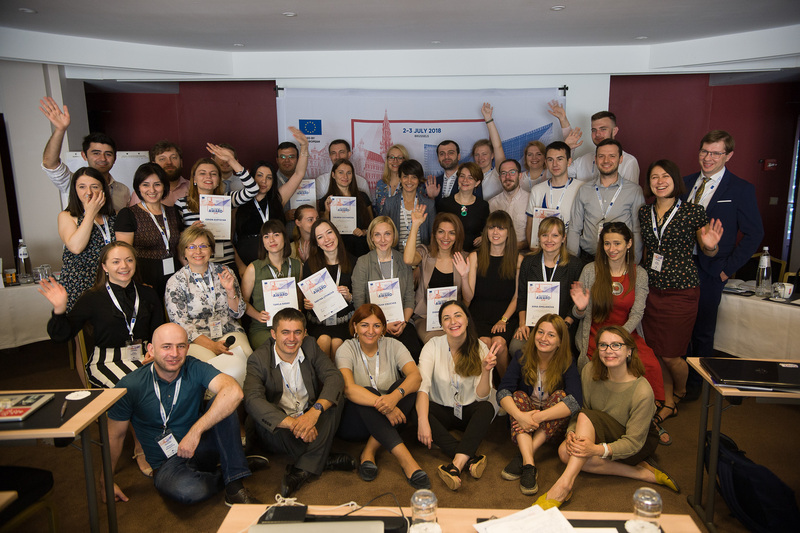 When it comes back to EU support, our interest is quite clear: it is to help young civil society activists develop capacities across the board. For example, we need people with technical capacities to monitor the energy sector where there are many challenges or to monitor sector specific corruption. Corruption exists in different ways in different sectors because there are weaknesses in systems that permit it to happen. So, it is crucial to develop civil society expertise based on the political agenda of the partner countries.